“First they tell you that you’re wrong, and they can prove it. 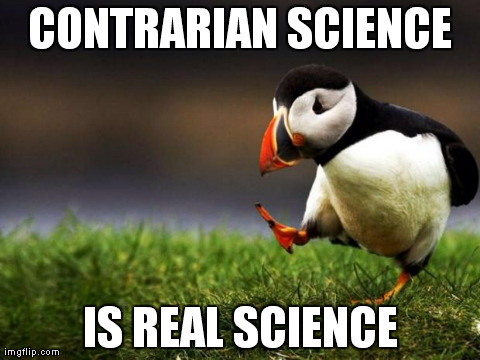 Then they tell you you’re right, but it’s not important. -CF Kettering, Time Magazine July 11, 1969, pg 54. Grant Groveling. 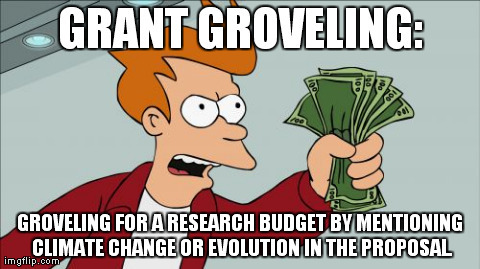 Groveling for a research budget by mentioning climate change or evolution in the proposal.